Digital technology provides superior sound and the 4.3” screen and pan, tilt and zoom, owl designed camera makes seeing your baby easy. Features infrared lights, temperature sensor, 300m range and Talk-Back feature. Keep a eye on your little one from anywhere in your home and hear all the sounds and see all the movements they make. 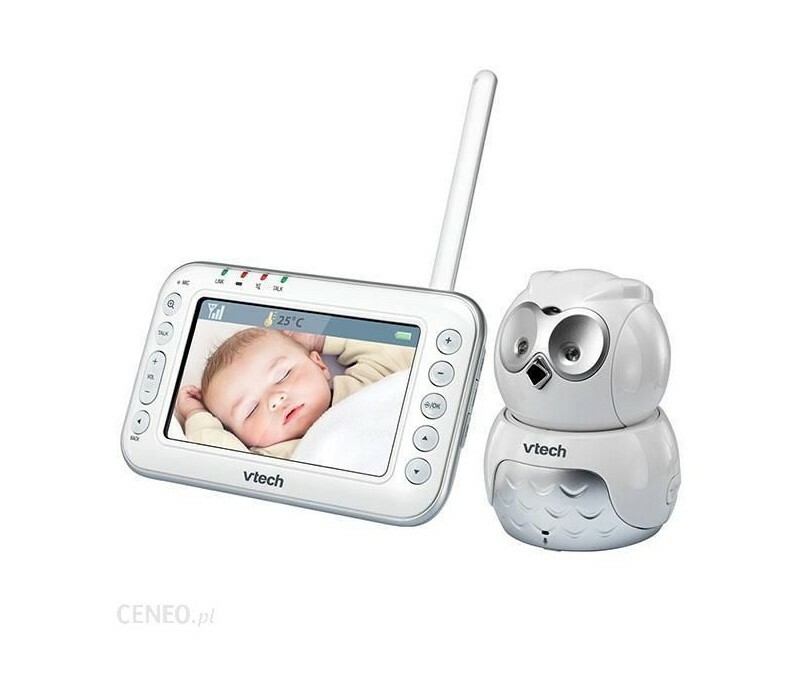 Digital technology provides superior sound quality and the large 4.3” screen and pan, tilt and zoom, owl design camera makes seeing your baby easy. Automatic infrared lights on the baby unit make your baby fully visible both day and night. Temperature sensor displays on the backlit screen and sounds an alert if the temperature moves out of pre-set options. Long 300m range allows you to monitor your baby from anywhere in your home and garden. You can also soothe your baby from another room with the Talk-Back communication feature. Includes optional vibration alert of you need the volume switched off and wall mount fixings so you can reposition the camera. Digital technology for a secure connection and clear sound without interference. 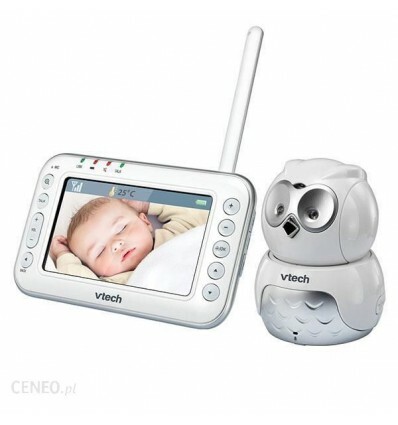 Video baby monitor with large 4.3" colour LCD screen and camera with pan, tilt and zoom adjustments. Parent unit uses rechargeable battery (batteries and adaptor for parent unit included). Features automatic infrared night vision and digital zoom for extra-clear monitoring. Includes 5 lullabies with 5 level volume setting. Room temperature sensor displays on the backlit screen and sounds an alert if temperature moves above or below pre-set options. Talk back to your baby – communicate with your baby from the parent unit. Includes low battery and out of range sound alerts. Features optional vibration alert to parent unit.